Nicola, Willow and I have been to the camp this afternoon to survey any storm damage, and fortunately we can report that there isn’t any of note. 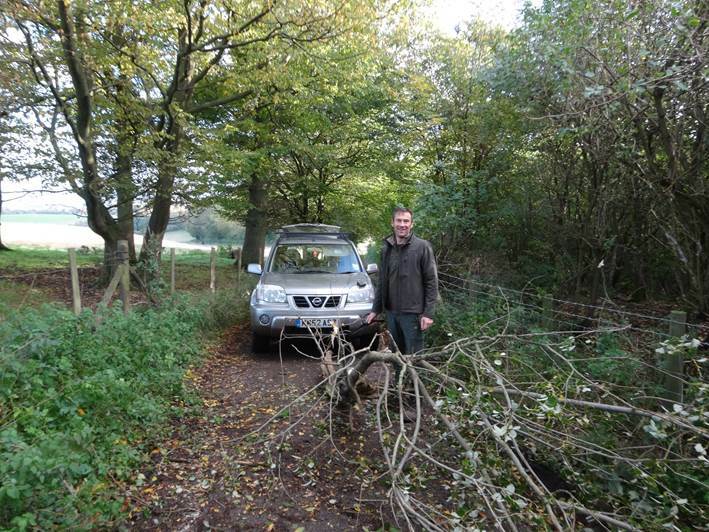 On the way there we had to clear a goat willow from across the lane near the gate into the top field, I had my folding saw and axe in my rucksack in the boot, but otherwise the lanes were clear. Into the camp itself and the only things we had to do were to re-tie a couple of the fastenings at the bottom of the parachute and re-tie one fastening on the kitchen tarp. 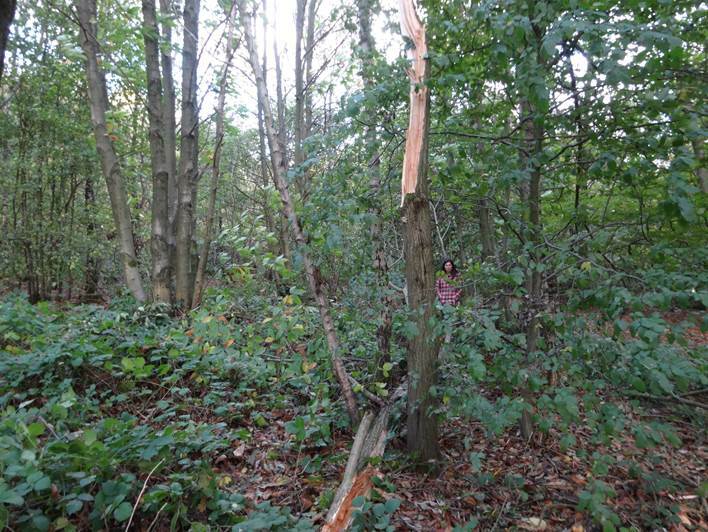 Whilst there was a whole load of dead wood on the ground, no trees or branches of any size were damaged. So we took a walk around the woodland to see what had happened and only came across two fallen trees, both goat willows. One had completely snapped off and the other was still attached at the base, so we’ll need to take the chain saw to it. We lost a goat willow last week in the wind as well; I’ll look into it further, but my initial thoughts are that they took advantage of the situation after the hurricane of 1987 and now are being out-competed by other tree species around them, notably ash and birch. So all in all, we can count our blessings. If you want to see photos of our woodland camp and the courses we run, look on our Facebook page.